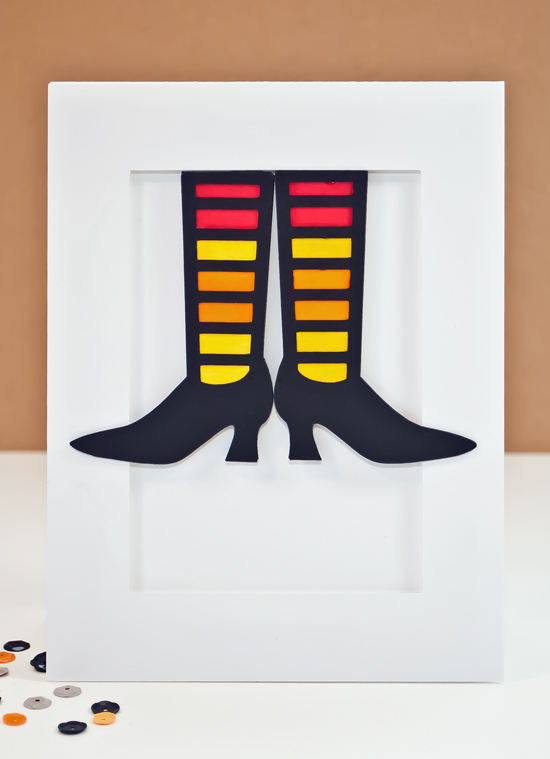 Here I used a file from the Silhouette Studio store, cut out both pieces (the open socks and shoe and a solid shoe) in two different sizes. For the glitter socks, I traced the die cut over the glitter paper and hand cut. Went overboard on the size, so I had to trim the point of the shoe. It's not perfect, but....it works. For this card, I colored the stripes with Copics. Both cards have a solid shoe for a backing. Cut the frames with the Silhouette and used dimensionals to pop up the images -- letting the point of the shoe rest on the frame. HUSBAND'S COMMENT = Ooh, I like these. Simple, bold, graphic! What's not to love? 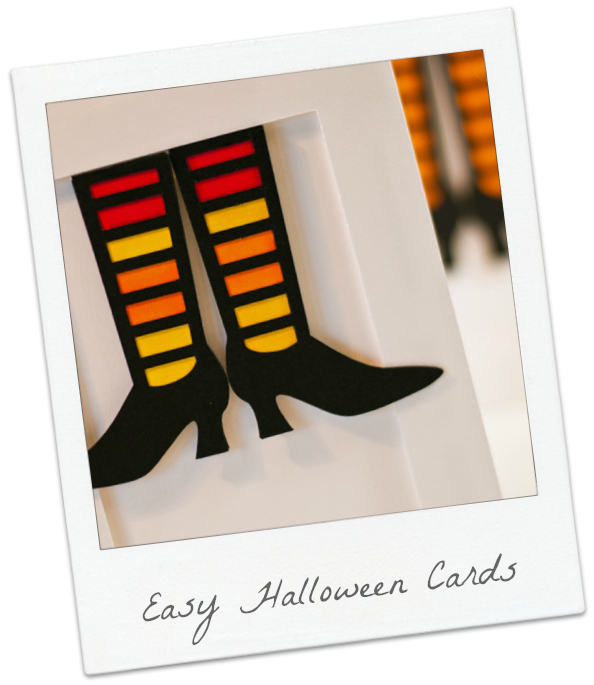 Wow, these are FANTASTIC Halloween cards! Love, love, LOVE them both! Oh man these are cool! I love CAS that you can mass make but a little different each time. Amazing cards Joan!! Bright, cute, and super fun! Love them! These are just pure fun.